Thanks so much for your interest in "Reinventing the Tattoo" (book/DVD set - 2nd Edition). Unfortunately the book has been out of print for a few years and we are completely sold out. 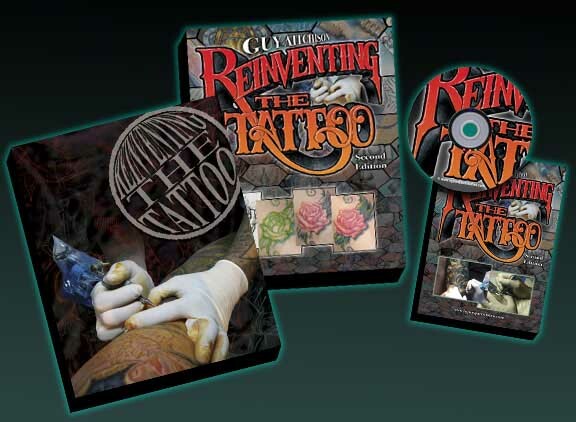 Reinventing The Tattoo is now available as a comprehensive subscription-based electronic educational package with more content than ever before. You can read up more about this new format at reinventingthetattoo.com. 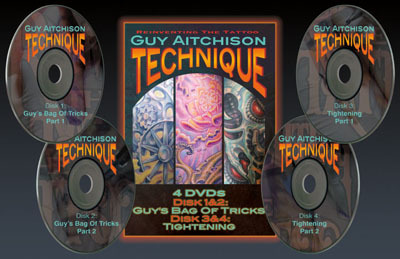 The new digital version has videos, including his newest cover-up DVD (a $100 value if purchased separately) along with guest artist chapters that have not previously been available. 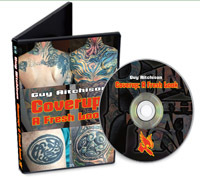 'Cover-up' is in digitial format, located in the "cover-up" section of the digital version of 'Reinventing the Tattoo'.